TORONTO (AP) — DeMar DeRozan spent his New Year’s Day watching basketball history and making some, too. 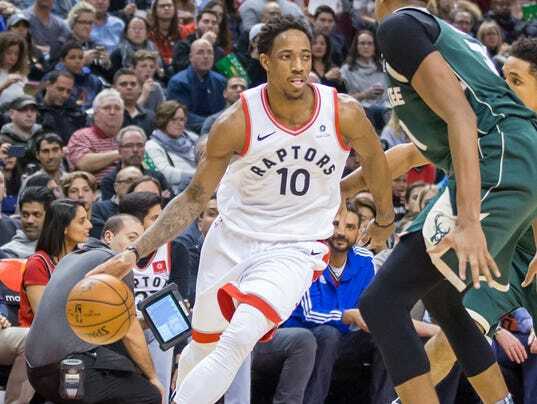 DeRozan said he spent some time earlier in the day watching the final few minutes of Game 6 of the 1998 NBA Finals, in which Hall of Famer Michael Jordan beat the Utah Jazz with a late jump shot, giving the Chicago Bulls their sixth title in eight seasons. “I for sure wanted to beat T-Ross,” DeRozan joked about eclipsing his former teammate. Will it rain at the Indy 500?